Global Travel Alliance is different. We aren’t just a tour company – we’re an educational organization focused on building bridges for groups and changing their lives. We serve our customers with friendly, reliable customer service. We lead life-changing, customized trips while using enhanced safety standards. Wherever you want to go, we will change you there. Jeff Peterson is the founder of Global Travel Alliance and lives in Billings, Montana with his wife Pam. He was born in 1956 and grew up in Northern Wisconsin, which is where he developed his first case of wanderlust while reading Lawrence of Arabia and Huckleberry Finn. In 1975 he moved to the Twin Cities of Minnesota, where he went to college and met Pam – the girl of his dreams. Within a few years Jeff was married and on his way to the Big Sky Country of Montana. From 1984 to 1993 he taught various grade levels and subjects on the Crow and Northern Cheyenne Indian Reservations, and from 1994 to 1999 he taught at Montana State University – Billings. During his time at MSU-B, he launched (with partners) the Rocky Mountain Language and Culture Institute and also started work as the Program Director for the International Studies Department at MSU-B. In 1997 he traveled to Japan, Korea, Egypt, and Kuwait to develop these programs for the university. In 1999 Jeff became the Headmaster of a private school in Florida, with an objective and purpose to internationalize the school curriculum. Two years later he became an active member on the board of directors of an education and missions non-profit, and then founded Global Travel Alliance in 2004. Jeff holds undergraduate and graduate degrees in Christian Theology, History, and Education. He has taught full-time at the elementary, secondary, and college levels. His 30+ years in the field of education have been strongly influenced by a devotion to cross-cultural education. Today, Global Travel Alliance specializes in class trips to Washington, D.C. and New York City, science expeditions to Costa Rica and Montana, historical and cultural trips to destinations worldwide, and much more. No matter your travel experience, his staff can develop a trip experience for you that is eye-opening and life-changing. Ethan began in the travel industry over 15 years ago after graduating from Bethel University in St. Paul, MN, where he studied Computer Science and Philosophy. Ethan worked from the technology side of air travel developing software before pursuing operations management and then eventually served as the President of Centrav, Inc., an industry leading consolidator, for many years. While raising his three daughters alongside his wife in Lakeville, MN, he became passionate about educational travel. As a board member of the SYTA Youth Foundation, he began to combine his specialties and connections in air travel to provide the experience of travel to all students. The uniqueness of Global Travel Alliance drew him and his family to relocate to Bozeman, MT last year. Ethan strives to continue the legacy of Global Travel Alliance, while growing the opportunities for all students to experience the value of travel. He is especially invested in the Global Doing Good and Leaf Cutters projects in Costa Rica, where he loves to travel with his family. A native Montanan who now lives in Orlando, Florida, Steve is the most experienced traveler and guide on staff. As a young boy he spent hours spinning his globe and reading travel guides dreaming about all the places he could someday go. Now, he lives his dream and has led trips to more than 20 countries and visited every continent – except Antarctica. Steve earned a college degree in Elementary Education from Montana State University and studied Experiential and Outdoor Education at the University of New Hampshire. He is a former educator who taught English at a Maori school in New Zealand. Steve is married with two children, and like most Montana natives, enjoys a rugged outdoor lifestyle including rafting, kayaking, snowboarding, hiking and camping. J.J. graduated from Billings Senior High School in 2005 and then studied at the University of Northwestern – St. Paul where he majored in Digital Media Art and Biblical and Theological Studies. After college he moved to Orlando, Florida and spent two years as a middle school Visual Arts teacher. He then joined Global Travel Alliance full-time and his expertise is spent on communications and marketing, directing American Heritage trips, and the Global Doing Good program. Outside of work, J.J. and his wife Soo serve as leaders at Bible Study Fellowship and also go on adventures to find the best foods around the world. His favorite hobbies include drawing cartoons, being a Packers fan, and reading books about sports. Ryan is a committed and experienced educator with 10 years in school-based education. During this time he found himself spending more time with students out of the classroom than inside. He is passionate about changing the way students are educated in America and believes that educational travel is a key part of that change. After receiving a graduate degree in nonprofit management and a Masters in Education, he and his wife left Boston to work for Harlem Children’s Zone in New York City. Ryan worked alongside other committed educators to develop HCZ Promise Academy, both as a teacher and a school leader. Ryan also earned a Masters in Educational Leadership. After 7 years with HCZ, Ryan left New York City to work for Denver School of Science and Technology, where he was a founding science teacher at their College View Campus. In his spare time he loves hiking (especially with his wife and two kids), working long hours in his garden, and cooking. Paul joined Global Travel Alliance after a ten year career directing place-based education programs in Montana for The Nature Conservancy and Montana Audubon. Born and raised in Southwest Ohio, Paul later moved to the Rocky Mountain West and has since explored a majority of the Northern Rockies national parks, including a one year study at the Teton Science School in Teton National Park. Paul believes that a good trip equals abundant wildlife, landscape vistas, and few traces of a human footprint. Paul has a passion for helping young people connect with the outdoors through recreation and learning. Paul now lives in Hamilton, MT in the Bitterroot Valley with his wife and two children. Daniel directs the Costa Rica operations and acts as lead guide for our GTrek: Science and Adventure program. Daniel holds Costa Rica Tourism Board licenses for general tourism and naturalism, and has received additional training in Biology Conservation in Latin America, Forest Interpretation, and Birds of Costa Rica. Daniel has a vast knowledge of Costa Rica, along with outstanding naturalist skills, which makes him the perfect guide for adventures through a cloud forest, the rainforest, along the Pacific Ocean beach, and around the local market. Daniel has a heart for service and resides in Alajuela with his wife Andrea. Tori was born in Hawaii and raised just outside of Washington, D.C. She recently moved to Florida and has joined the Global Travel Alliance team full time. Prior to this position, she was the Operations Manager of a major brand-name hotel in Alexandria, VA, where she was responsible for the supervision of all staff and customer satisfaction. She carries an expert wealth of knowledge regarding hotel operations and of the entire Washington, D.C. metro area. 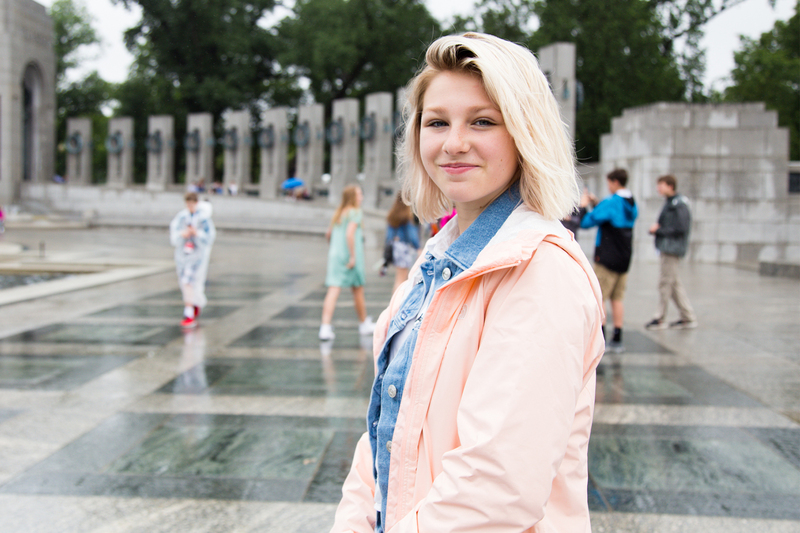 Tori loves all kinds of music and traveling around the world – she continues to hope and look for more adventure and travel opportunities. Tori now lives near Orlando in Apopka, FL with her son Noah. Judy was born in South Africa and raised in England. She developed a love of travel early in life growing up in a family always on the move. After working in London for ten years she ran into an American group touring the UK led by Steve Maehl and owner Jeff Peterson. As they say, the rest is history, and now she holds her 3rd citizenship in America. Judy lives in Orlando with her husband Steve and two children. When she isn’t busy handling incoming payments for trips, you may get the chance to catch her international accent as she directs incoming calls for our worldwide trips. Born in Seattle, Washington, Tim was raised in Minnesota following his family’s return from living in Deschapelles, Haiti. He stayed in the Land of 10,000 Lakes to attend St. Olaf College where he played for the Ole men’s tennis team and studied History and Spanish. After college Tim spent some time abroad in the Dominican Republic, only to return to the Midwest to complete a Master’s of Arts in American History at the University of Wisconsin – Eau Claire. Tim has held a variety of tennis coaching positions, both nationally and internationally, including seasons in France, Mexico, the College of William and Mary, and the College of Charleston. Tim resides in Charleston, SC with his family. While his interests are varied, Tim spends much of his time in theology, philosophy and history as well as dabbling in some woodworking, aware he has so much to learn in all of them. Dan was born in Northern Minnesota and graduated from Bethel College in St. Paul with a degree in Social Studies Education. He has been in education for over 12 years in various roles, including full time Social Studies teacher, outdoor educational director, class adviser, and skydiving instructor. He has traveled to Europe, Canada, Mexico, the Caribbean and all across the continental U.S. He currently lives in Shakopee with his wife and 2 small boys. He loves time with his family, being outdoors, exercising, and reading about all kinds of world history. Tyler was born and raised in rural central Minnesota. Most of Tyler’s younger days were spent on the family farm and being active in the outdoors. After high school, Tyler attended the University of Northwestern – St. Paul where he spent 4 years earning a Bachelor’s degree in Marketing and playing football for the Northwestern Eagles. During college Tyler worked in the service industry while also spending time with kids as a 5th grade basketball coach. After college he spent time organizing group events in the Minneapolis area for the Mall of America, Minnesota Vikings, and the Minnesota Timberwolves. Tyler and his wife Breanna moved from the Twin Cities to Cleveland, OH where they spent two years before moving to Omaha, NE where they happily reside today. When Tyler is not working with schools or traveling the world with students, he can be found playing a variety of sports, traveling with his wife to see family and friends, and grilling in the evening. Jessica was born in Helena, MT and currently resides in Billings MT, with about 30 moves in between. She graduated with a Bachelors in Marketing from Southwest Minnesota State University in 2009 and jumped at the chance to come back home to Montana in 2010. She has held office administrative and bookkeeping roles in a variety of industries including video conferencing and technology, retirement communities, and over the road trucking. Her focus at Global Travel Alliance is to support all staff and travelers in creating seamless trip experiences from start to finish, and assist in marketing our unique services. Jessica spends her free time exploring parks with her daughter Sarah, teaching new tricks to her german shepherd puppy Piper, and watching movies snuggled up with their rescue cat Charlie. Jamie is a middle school History & Geography teacher in Billings, MT. Jamie brings great passion and teaching expertise to Global Travel Alliance while guiding throughout the United States and Europe every Spring. He is a firm believer that students should engage with the world around them and has since created the Two Roads Project: a micro-financed program that allows middle school students to create and manage small scale community outreach programs. Jamie grew up in Billings and has lived in Pennsylvania, Colorado and now lives in Billings with his wife. Larry is from Montana and brings vast experience to Global Travel Alliance. He graduated from Eastern Montana College in 1969 with a bachelors degree in English and History. He was awarded a teaching assistantship to Texas Tech University where he completed a master’s degree in 1971. Larry returned to Montana and began a teaching and administrative career with St. Labre Indian School. In 1999 Larry changed gears and became a planned giving officer for St. Labre, a grant writer and editor of the St. Labre Newsletter. Now at Global Travel Alliance, Larry centers his attention on Program and Staff Development. He has traveled extensively in the United States and claims Alaska as his favorite destination. Larry has been married to his wife Priscilla for nearly 47 years and has three children and seven grandchildren. He loves to fish, bike, cross-country ski, backpack, kayak and play the piano. Sally grew up in Billings, MT and graduated from Billings West High. She then attended EMC on a track scholarship. She received a degree in Special Education and Physical Education and then went on to receive a Masters’ degree from Leslie College. Sally taught at Garfield Elementary for two years and then went down the road to Huntley Project for three. She finally landed a job in Billings at Castle Rock Middle School where she taught for 32 years and went on 12 8th grade class trips to Washington, D.C. Now with Global Travel Alliance she’s on the other side of student travel. Her passion for helping young people and serving others gives her great excitement for the Global Doing Good Service Scholars program.